Long time contributor David Price (not the Sox pitcher) recently left a Comment on MillersTime website that I think should to be taken seriously and deserves considered and considerate responses. I wasn’t going to write anything to prevent controversy but, being the conscientious Yankee fan that I am, I decided that perhaps now is a good time to remind the Red Sox diaspora and followers of our nations pastime, a ‘home truth’ or two concerning your beloved Big Papi. As Mr. Ortiz finally enters the twilight of his controversial career and audiences around the country pay homage to his 24 years in the big leagues, the following post from CBS does present a valid argument which (I believe) still remains unanswered? By contrast – and as everyone will remember – Alex Rodriquez, who was annihilated by MLB, supporters of the game and in some respects, his own management for alleged misdemeanors relating to PED’s. Time was served – the rest is history. Amusingly at the time of Alex’s downfall, MLB’s self-imposed regulators of the game (i.e. Boston Red Sox fueled by their biggest ally – the infuriatingly biased and unwatchable ESPN) acted as Judge, Jury and executioner to what he had supposedly done. Who can forget that lowlife Ryan Dempster being instructed to pitch ‘behind’ Arod in 2013 with only Joe Giradi getting ejected for protesting? I recall the deranged Kurt Shilling broadcasting something along the lines of ‘Arod deserves what’s coming to him’! 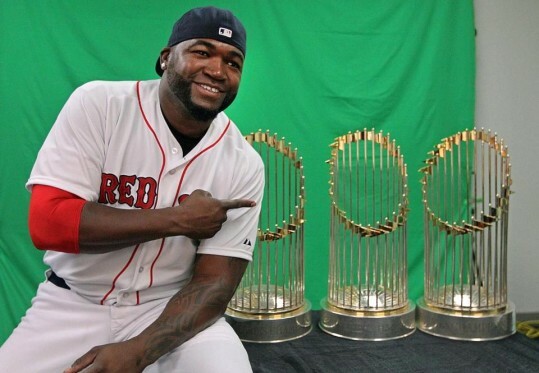 So why is nothing EVER said by Sox fans about Big Papi being guilty of ‘juicing’? He owned up to it for goodness sake! Are sports fans – especially those in Boston – that fickle to believe what they want to believe regardless of fact? I just don’t get it? Aren’t these double-standards or am I losing my sanity? As ever, it would be interesting to hear what those along ‘Yawkee Way’ or from the depths of despair in Southie have to say in response to my question. A reply of ‘Oh C’mon man – its Big Papa!’ will not suffice. Sadly in this life, whoever you are, you can’t have it both ways.